← Iron Night Fanart Contest + Book 3 Title Reveal! The Conclusion of Author Chat…. or is it? What did we learn in the course of Author Chat? 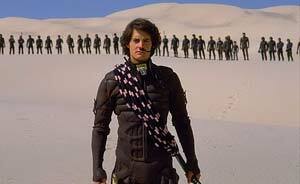 Well, we definitely learned about how much all of us love Dune. You know what all the cool kids are buying? These. You don’t want to be left out, do you? Succumb to peer pressure! We did this author chat to try to capture a little of that experience of going to a panel at a con, and seeing authors answer questions and have a bit of fun. But we wouldn’t be able to fully capture a panel without the final, most crucial part — audience participation! Do you have a question you’d like the panel to answer? Post it in the comments, and over the next few days, we’ll sift through and find the ones that are the most awesome. Then keep your eyes peeled in January for Author Chat II: Fan Service. Round One is right here on my blog! Round Two was at Django’s house! Round Three was hosted by Teresa! And Round Four was rocked out on Leigh’s Tumblr! Posted on December 13, 2013, in Generation V, Shameless self-promotion, Writing process and tagged Author chat, Django Wexler, Dune, fan service, Leigh Bardugo, Panels, Questions, Teresa Frohock, The Thousand Names, Writing questions. Bookmark the permalink. 4 Comments. What do you all think about the recent trend and theme of screenwriting books as models and templates for would-be authors? I don’t know about that, Paul. Can you give me a little more detail? I was referring to all the interest I see lately in stuff like the screenwriting book “Save the Cat” and similar books as templates for writing. SAVED BY GOOGLE! Okay, I can answer that now, I know what you’re talking about. Movies and novels share a lot of the same general story structures. Frankly, I think every author goes about the process differently, and a lot of us have to fish around until we find the method that works best. I generally use the three act structure, which is often found in a lot of movies and screenplays. The two techniques (screenwriting and novel writing) are very close in nature, so screenwriting templates could easily work. It’s all storytelling. Just different mediums.